The Munch Machine is the bucking machine you’ve been waiting for. Insert a stem in the appropriately sized die hole and the machine pulls it through, gently removing flowers from perfectly stripped stems. Variable speed control allows for versatility. Slow the machine down for damage-free bucking of carefully dried plants, or speed it up for rapid bucking of freshly harvested stems. One machine for all your bucking needs: wet or dry. 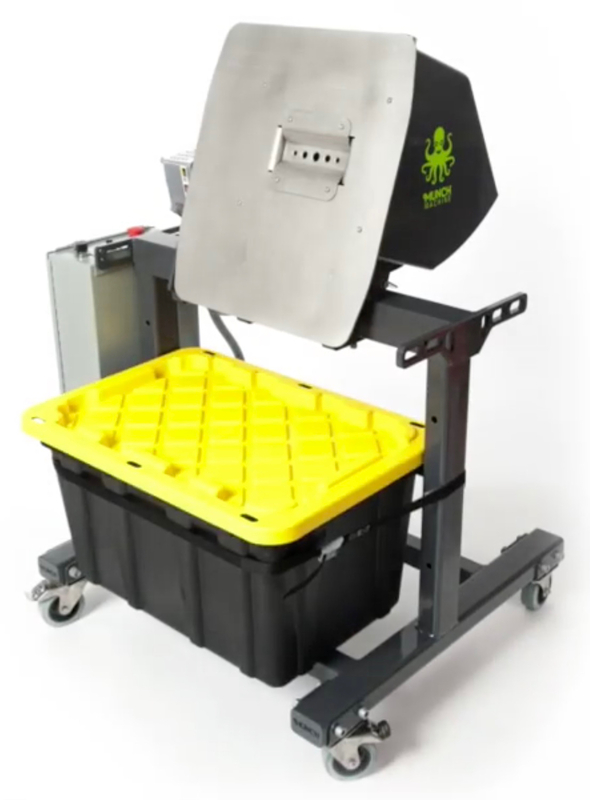 Harvest up to 150 pounds per hour of fresh cannabis. Bucks wet or dry. Easy clean up in less than 10 minutes.